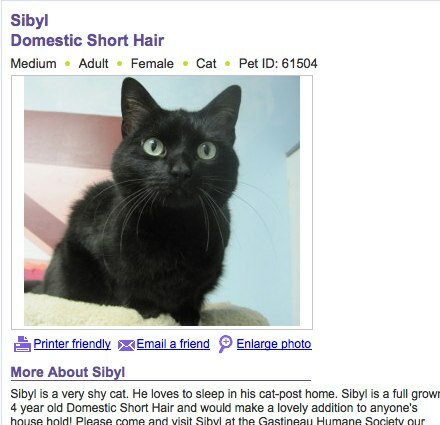 Yesterday my wife saw this picture on the Juneau section of PetFinder and for a moment was filled with hope that our cat was safe at the humane society. 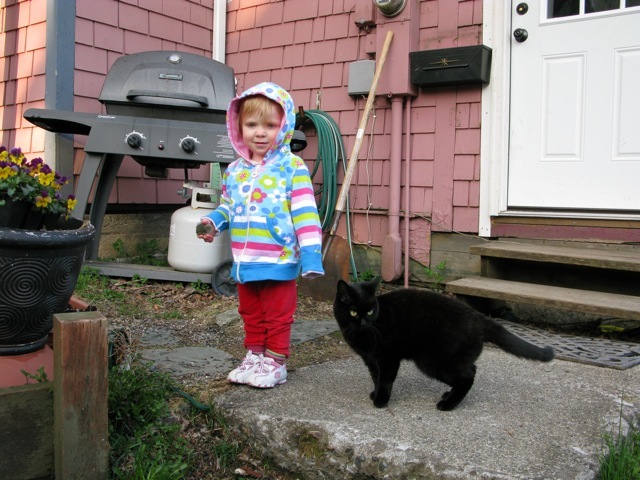 Unfortunately it looks exactly like our lost cat BeeDee but after close inspection Laura verified it wasn’t. Many folks have mentioned cats coming back weeks/months after a fire. We’re concerned since we don’t live in the same neighborhood anymore that maybe she’s checking in and never finding us. Another thought that’s crossed my mind is that during the fire she fled downhill into the lovely Juneau neighborhood known as the flats and is being fed by someone down there.